I’ve had a very busy summer consulting with hospices all across the US. In talking with administrators about their biggest worries, I heard one alarm sounded everywhere I went: Hospice is in the grip of a critical nursing shortage. Certainly, in some areas the problem is greater than in others, but make no mistake; recruiting the ideal experienced, compassionate, smart, flexible and dedicated hospice nurse (or social worker, for that matter) is more challenging by the day. As a board member of the University of Florida College of Nursing’s Alumni Council, I can tell you that the school cannot afford to admit more than 120 new undergraduates/year. The University of Delaware College of Nursing admits 136. Numbers like these will not begin to meet the burgeoning needs of the Baby Boomer generation as they age. And it’s not just that new nurses aren’t entering the field at the rate we need them to; we’re losing those we have, nurses who are leaving the profession because they’re unhappy with the workload – and with the disrespectful ways in which they’re treated. Not surprisingly, 52% of those reporting harassment are considering leaving the field. I’ve written in the past about bad bosses, and about nurses who “eat their young”; if your supervising staff or your management lack the skills needed to support your nurses in their work, you’d better consider getting them some training in management skills. Yes, lives depend on nurses’ good judgment and decision-making – but we were all newbies once, and a good manager can correct an employee without belittling, bullying or otherwise discouraging her. If yours can’t, fix it. Large hospital systems are creating “Nursing Residency” programs, hiring new graduates and taking them through a one-year Residency program where they get regular training, support, and lower case loads. And it’s working; retention figures for nurses who go through these programs average above 90%. Larger hospices might consider offering that level of support when hiring new nursing graduates who have life maturity about death. 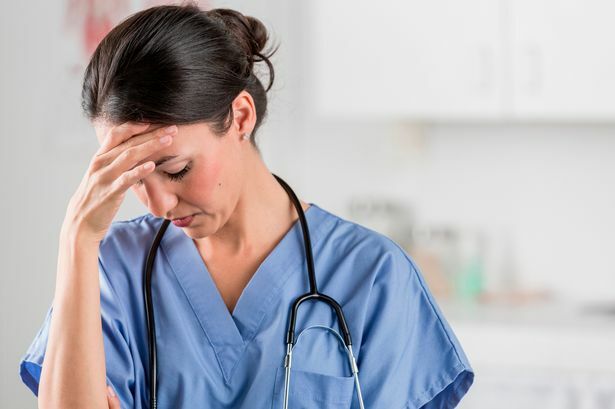 As both a nurse and an administrator, I have seen and understand the macro as well as the micro view of what happens when staff are pushed to their limits, without backup, without support or encouragement – and the results are not pretty. We need to begin a giant conversation about how to provide care to dying people in this new environment, now! I can help! Click here so we can start a conversation!! Do your staff feel this way? !